Israel spends money on settlements in the West Bank that it could use for housing for the poor, Talia Sasson said in an interview with RT. The Israeli attorney authored a 2005 report that documented the illegality of Israel’s West Bank settlements. Sasson strongly criticized the findings of the new Levy report, released in July, which argues that the West Bank is not under occupation and that the Israeli settlements are legal under international law. 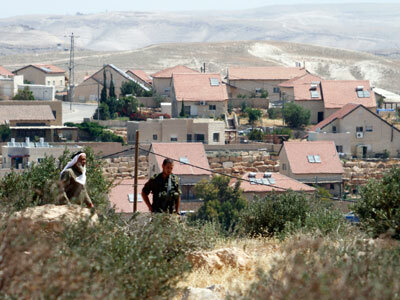 The report seeks state approval for the still-unauthorized Jewish settlements. The Levy report’s conclusions are contradicted by 45 years of Israeli Supreme Court rulings, Sasson argued. 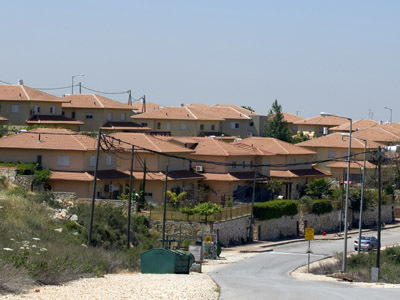 Sasson’s 2005 report stated that the Israeli government had been diverting money to build West Bank settlements and outposts that were illegal under Israeli law. RT: There has just recently been another report, also government-sponsored, the Levy report, that finds exactly the opposite, that these outposts in fact are legal. In a country of law, how it is possible to have these contradictions? Talia Sasson: My report is based on the Supreme Court of Justice of Israel’s decisions for decades, for 45 years almost, that international law applies in the West Bank. And all the conclusions and recommendations are based on this fact in my report. But the Levy committee decided that international law does not apply in the West Bank, and all their recommendations are based on this. In my opinion you can’t defend it in the Supreme Court of Israel. RT: Would you agree that the West Bank today in Samaria is not Israeli soil? And if so, what legal grounds does Israel have for legislating laws regarding land that is not under its jurisdiction? TS: In my opinion, and in the opinion that was written by the Supreme Court of Justice of Israel, Israel has no sovereignty in the West Bank. The occupation is temporary one until a basic government can be achieved between the two people – the Palestinian people and the Israelis. The authority of Israelis to legislate law in the West Bank is coming from international law, from the Hague’s regulations and the Fourth Geneva Convention. They give authority to the Chief Commander of the IDF, who occupied the area, to legislate law and to protect the Palestinians and the security of the area. RT: The Ministry of Housing allocates million to this outpost each year, giving it a lifeline. As long as the government’s policy of funding the outposts exists, how can the matter be resolved? TS: I make some difference in my report between settlements and outposts, because in the opinion of the government of Israel, the settlement enterprise is legal. And I am not sure that the international community and international law are of one mind on this topic. But there is no question, according to my report and to the Supreme Court of Justice’s decisions, that the outposts, which are the beginning of settlements in the West Bank, are illegal. This is according to internal law, and to the opinion of the Israeli government. RT: The United States, in response to the Levy report, said that it opposed settlement building. Washington has made similar statements in the past. But what action has the United States taken in order to force Israel to stop breaking international law? TS: When I was commissioned to do this report, I think it was on behalf of the Prime Minister of Israel to show the Americans that he is trying to follow the law, and that he is trying to implement the law in the area. When we are talking about Benjamin Netanyahu, the Americans demanded a freeze on settlements for ten months. As far as I know, this is what the Americans did. Maybe they could do more, maybe they couldn’t. I don’t know. RT: Isn’t Netanyahu’s continued support of the settlements and the outposts a threat to Israeli democracy? TS: Definitely, yes. I believe that the interests of the state of Israel are to withdraw from large parts of the West Bank, and bring about 120,000 settlers back to the state of Israel – all the settlements that are eastern to the barrier, maybe some more – and to achieve a peace agreement with the Palestinians by making swap based on 1967 borders, with corrections. 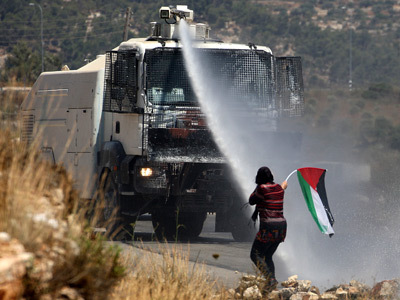 I believe this is of high interest to the state of Israel, because the continuation of the occupation of the West Bank endangers the state of Israel as the homeland of the Jewish people, and as a democratic state. RT: Israel is in grave breach of international law, especially on the issue of outposts. In your opinion, why has the UN not yet sanctioned Israel? TS: I can’t give you an answer for your question. I don’t know why, or what’s going to happen by the UN, but I believe that this issue needs to be solved by an agreement between the two peoples. I don’t believe that sanctions will solve the problem. There is a need for the state of Israel, the Prime Minister of Israel, the government of Israel and the Palestinians to get to the table and start discussing without any terms or preconditions. RT: The act by Moshe Silman – the Israeli protester who set himself on fire and later died from his wounds during the recent protests – isn’t that act until now has largely been associated with non-democratic countries? 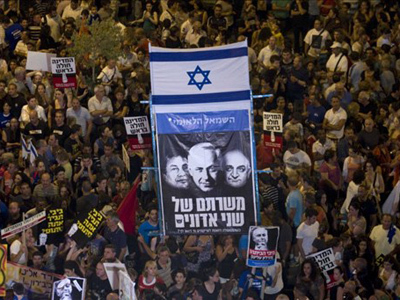 Is someone’s act not an indicator that a social protest in Israel is more than just social? TS: This is an interesting question. I believe in Israeli democracy after all. I think we are still a democracy and we have to defend our democracy. Democracy is not something that is just written on a paper. You have to always fight for it. As specific to the case of this very sad issue that you asked me about, I don’t believe that it shows that Israel or the social protest is happening in an un-democratic state. I don’t think so. Huge number of people took part in demonstrations last year, less than a million, but many people. There wasn’t any violent activity at all. And you can see violent activity in many democratic states in the world. So I don’t think that this issue could show you that Israel is a non-democratic state. RT: One of the issues of the social protests is public housing. 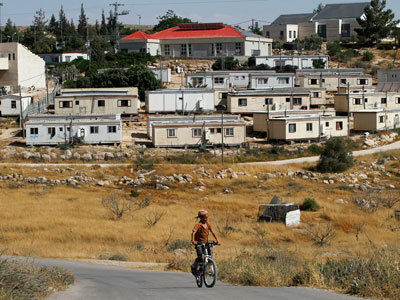 Couldn’t the money that is being used to fund illegal settlements help resolve this issue? TS: Of course, I agree with you one-hundred percent. 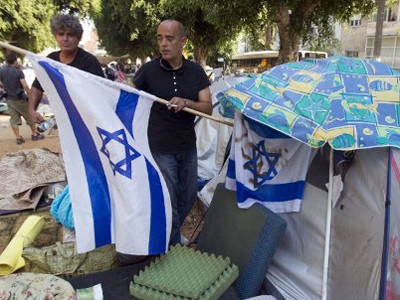 Israel shouldn’t waste its money in the West Bank anyhow, even if every person, every soul in Israel had a house. But of course, when we have such a big problem of public housing for poor people, then we could make use of this money to better the lives of Israelis inside Israel. RT: What impact will Israel’s economic problems have on financing the outposts? TS: I really don’t know. 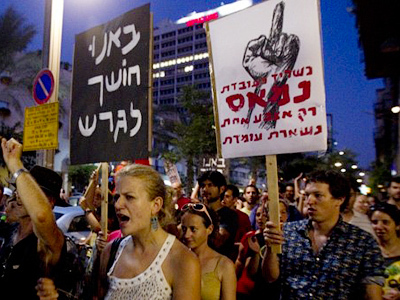 What I am saying is that we are talking about severe economic problems in Israel. But when the government is talking about the West Bank, the economic problems vanish, because if they want to openly remove 30 people from Beit El, which is a settlement, to somewhere else because the Supreme Court of Justice of Israel ordered it, then the government has a lot of money to bring them there, or to build new houses or to build new settlements instead of Migron.